Producer Ralph Winter was recently interviewed by Infuze Magazine and they asked him about the status of The Screwtape Letters. What’s happening with C.S. Lewis’ The Screwtape Letters? It’s in development with Fox and Walden Media. Fox has owned the property for decades. They bought it in the 50s. There was management at Fox that wanted it and bought it, and they’ve owned it for decades. We’re signing deals right now. We’re finishing the Fox option deal, we’re finishing my deal with Walden. Doug Gresham’s deal is done. Does the movie have a green light? Not yet. 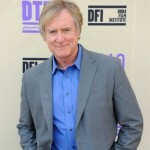 We’ve been talking to Randall Wallace about writing and directing. We need to have more discussions with Fox and Walden about that, and make sure that Randy’s still available. Everybody wants to make this movie; I think it’s going to happen, I just don’t know what the timetable is right now. We’re very excited about that. With the right script, dealing with temptation and that whole upside down world, it could be a very, very interesting movie. And it’s going to be dark. This isn’t a light, happy, Narnia piece. The C.S. Lewis name alone should be enough to draw people into the theaters. The Screwtape Letters coming to Walden Media?